A sweet and contemporary anniversary card designined especially for your handsome husband. This lovely anniversary card makes the perfect choice to celebrate your anniversary. 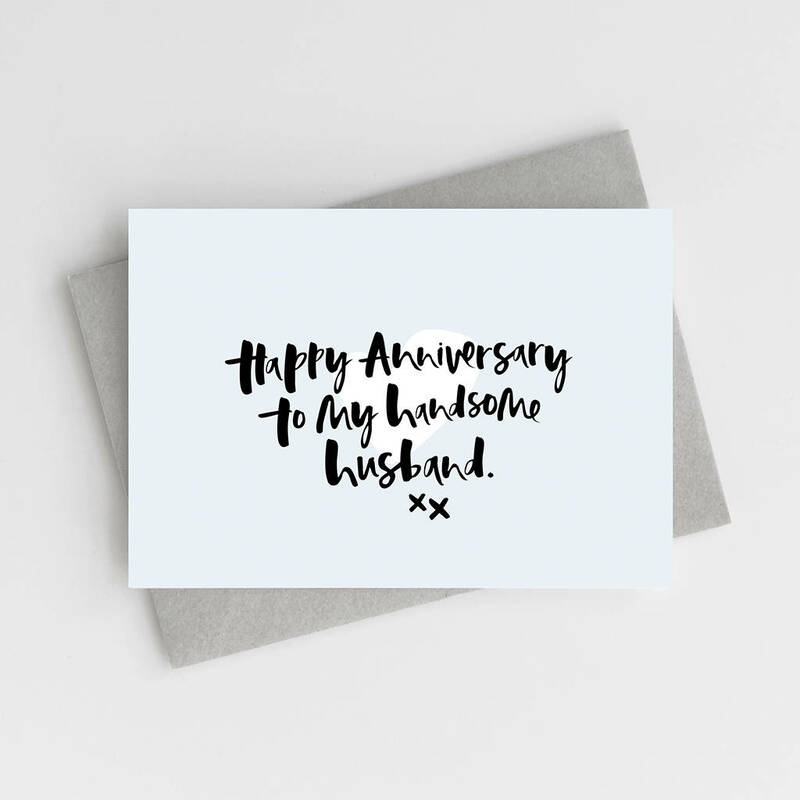 Featuring our classic, hand lettered typography, the phrase 'Happy Anniversary to myHandsome Husband' is written in deep black ink and layered over a soft blue background. 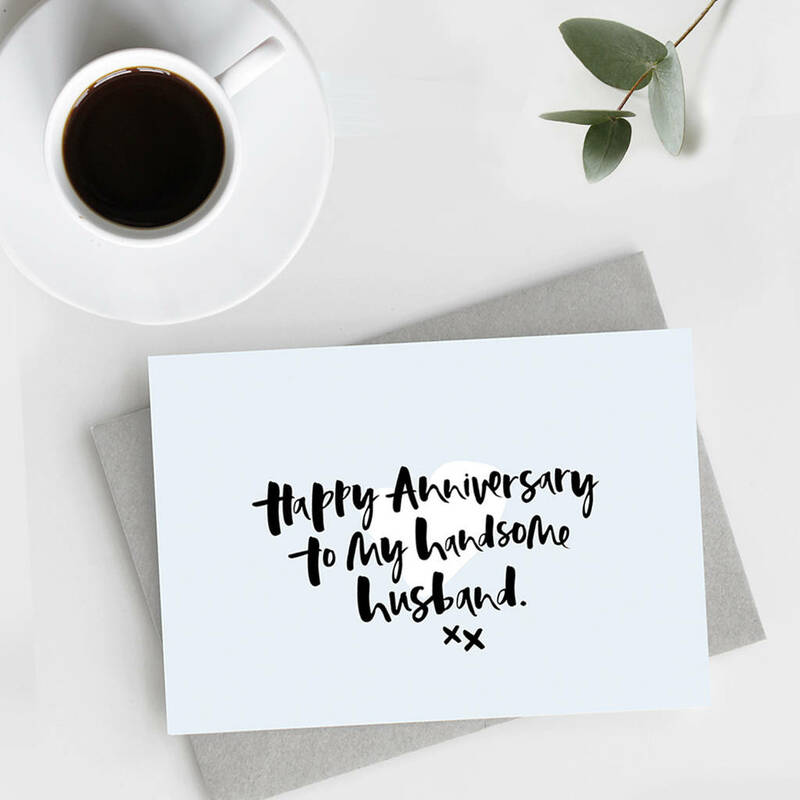 'Happy Anniversary, Handsome Husband' Card is 10.5 x 14.8cm (A6) and comes with a 11.4 x 16.2cm (C6) envelope.